The Old Grace Housing Co-op story – Old Grace Housing Co-operative Ltd.
Old Grace Housing Co-operative Inc. (OGHC) is a non-profit housing co‑operative. OGHC was established in early 2012 by a group of approximately 30 individuals, mostly from the Wolseley community, who were interested in establishing a housing co-operative on the site of the original Grace Hospital, located at 189 Evanson Street. In November 2015 the Manitoba government announced that OGHC was the successful bidder to develop the property. Construction of the development began in July 2016, with the first occupants moving in in early 2018. OGHC occupies two sites: a sixty-suite complex at 200 Arlington and a four-unit townhouse development on the northwest corner of Evanson and Preston. The Salvation Army opened its Grace Hospital at Preston and Arlington in 1906. In 1959 an obstetrical wing was added to the facility. 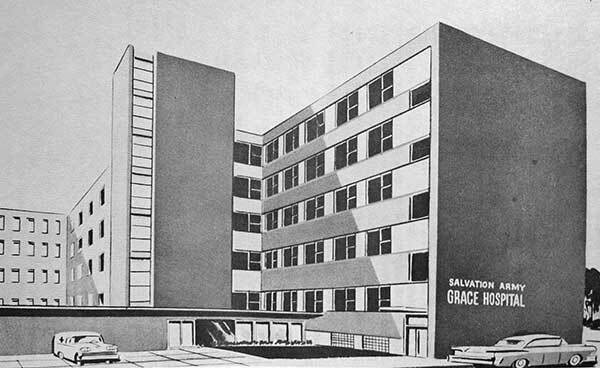 In 1967, the Grace Hospital relocated to St. James. 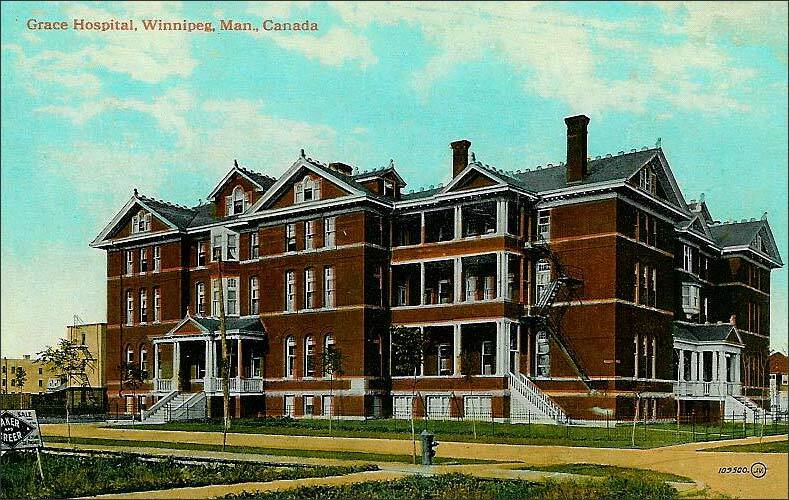 The original hospital building was demolished, while the obstetrical wing was taken over by the Manitoba government. It served as government social service and health offices up until 2012. Its last tenant was the Winnipeg Regional Health Authority. The old obstetrics wing, the last remaining hospital building, was demolished in 2014. Since its inception, the OGHC has worked to develop a set of strong community relationships. To this day, roughly thirty percent of OGHC’s membership lives in Wolseley while a number of others are former Wolseley residents seeking to return. a public presentation of its proposal for the site at a Manitoba Housing-sponsored open house on June 9, 2015. OGHC has shared information packages and updates with a variety of community organizations, social service agencies, parent councils, churches, businesses, and community leaders in the Wolseley area. OGHC has also met with a variety of stakeholders beyond Wolseley. These include neighbourhood housing organizations, immigrant-serving organizations, the Canadian Paraplegic Association, BUILD, SEED Winnipeg, Jubilee Fund, Society for Manitobans with Disabilities, and Habitat for Humanity. Partnerships with some of these organizations will create opportunities for low-income citizens to qualify for membership in the co-op. OGHC also shared information with its municipal, provincial and federal political representatives. OGHC leadership (board and committee members) encompasses a broad range of skills and experience in project and organizational management, fundraising, community and economic development, health care, education, social development, environmental advocacy, labour, and experience in co-operatives and credit unions, as well as voluntary leadership in a variety of organizations. OGHC began assembling its professional team in 2013, with the recruitment of DSI Tandem Co-op Resources – a development consulting service to housing co-operatives and non-profit housing organizations since 1986. In 2014 OGHC selected its architect (Prairie Architects, Inc.) and its landscape architects (HTFC Planning & Design). In 2015, Concord Projects was added to the team as construction managers. In October 2014, the Manitoba Housing and Renewal Corporation called for proposals for the development of a housing project on the Old Grace Hospital site. The Old Grace Housing Co-operative submitted its proposal in January 2015. This included 25 letters of support from community organizations. OGHC was one of two organizations invited to make a submission to the second step of the selection process. OGHC’s proposal was submitted in May 2015 and this submission included 70 letters of support from Wolseley residents, businesses and organizations. The Manitoba government announced that it had accepted the OGHC proposal in November 2015. Construction of the Old Grace Housing Co-operative began in July 2016. The official sod turning was held on August 11, 2016. The first residents began to occupy the building in spring of 2018, with full occupancy on both sites being achieved by the end of 2018.